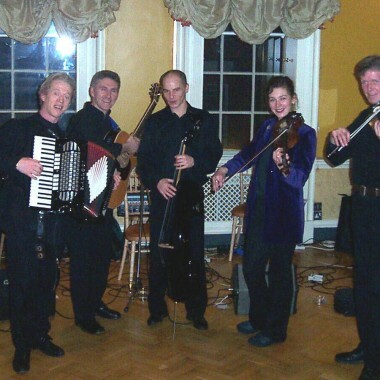 Highland Swing, the must have Scottish ceilidh band for Burns Night or St Andrew's Day events. Also available for hire for weddings, private & corporate parties. 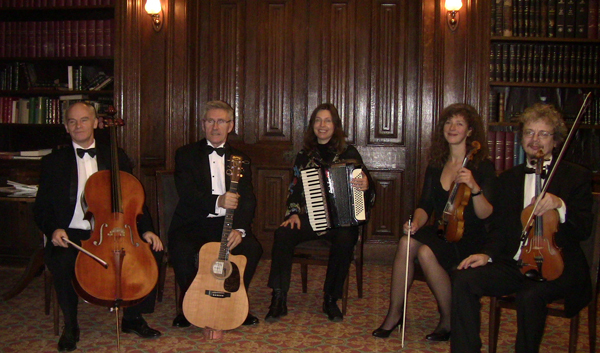 Highland Swing are a Scottish ceilidh band who can perform with or without a caller. Highland Swing have a distinctly Scottish flavour with Claire Mitchell (fiddle) from Aberdeen and Robin McKidd (fiddle) from Dundee. Claire is also a wonderful caller for Scottish country dancing which is proving to be the essential ingredient for getting parties to really swing! A Burns Night must! 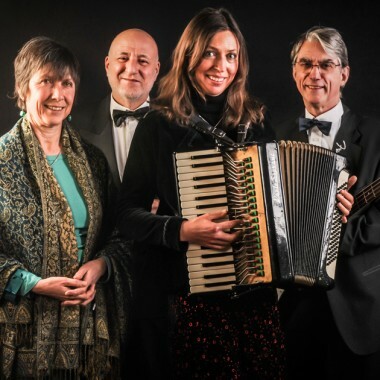 Highland Swing are fast earning a glowing, growing reputation as a versatile group of musicians who can also blend jazz standards and popular covers into the mix for a change of mood, if required.